Navigate To... Home Shows » Mainstage Theatre » Studio Theatre » Special Events Tickets » Box Office » Subscribe » Passport » Ticket FAQs Education » Adult Education » Summer Youth Rentals » The Collaborative About » Auditions » Contact » Board of Directors » Membership Support » Our Donors » Sponsors » Volunteer » Buy Merch! » "Save My Seat"
All Studio Collaborative Shows are Festival Seating meaning there is no assigned seating, it is first come, first serve. PLEASE NOTE: The Studio Theater is on the 2nd Floor, it is only accessible by stairs, there is no elevator. Dates: Feb 22, 23 @ 8pm, Feb. 24, @ 2pm, 2018. 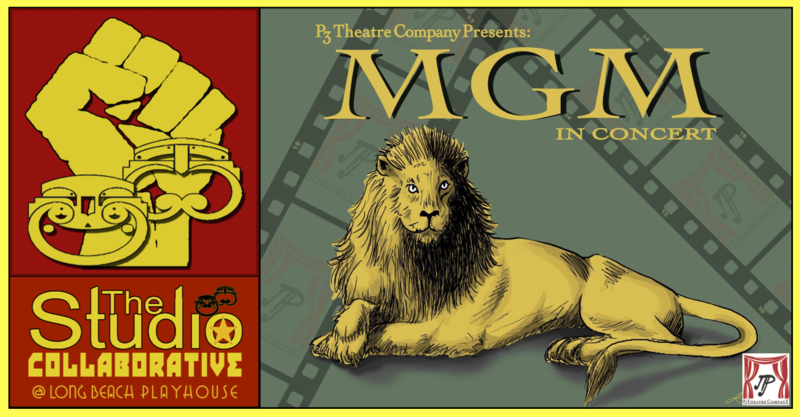 MGM in Concert is a musical tribute to the wonderful musicals produced by Metro-Goldwyn-Mayer. Other studios were producing musicals, but none could compare to MGM. New songs and standards from legendary original musicals: Singing in the Rain-American in Paris-Gigi. Wonderful Broadway shows were brought intact to the screen: Annie Get Your Gun-Showboat-Kiss Me Kate and many, many more. It was said MGM had more stars working for them than you could find in the heavens! Passionate: Provide an enriching and educational experience for all. Progressive: Foster groundbreaking new and existing works for the entire community, without bias. Pragmatic: Present theatrical works that will inspire, enlighten, and contribute to a harmonious and inclusive community. To learn more about them, visit P3 Theatre WEBSITE or FACEBOOK PAGE or the MGM IN CONCERT FACEBOOK EVENT PAGE. The LBP Studio Collaborative Season offers outside, local theatre companies and performing arts organizations the opportunity to produce their own shows in our Studio Theater.